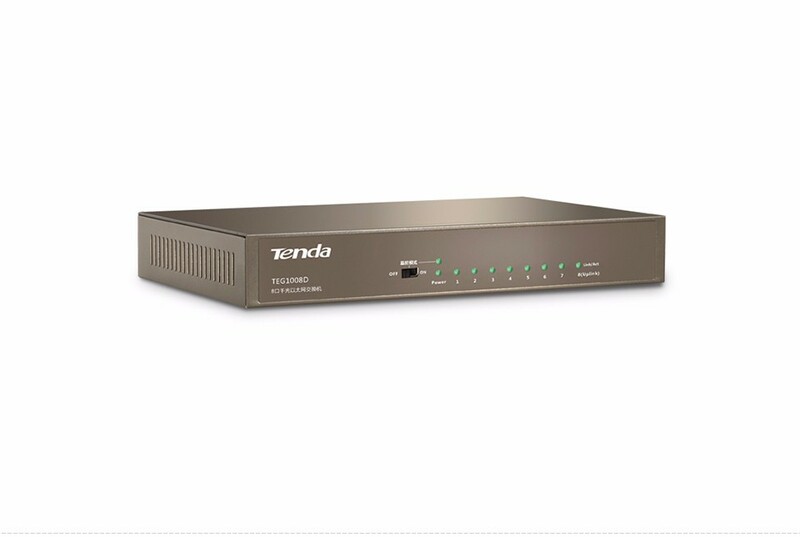 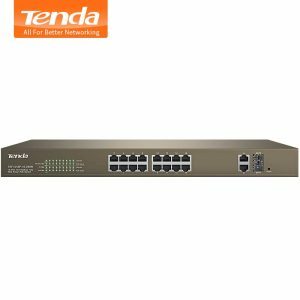 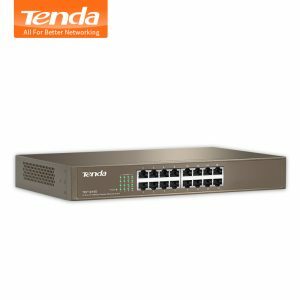 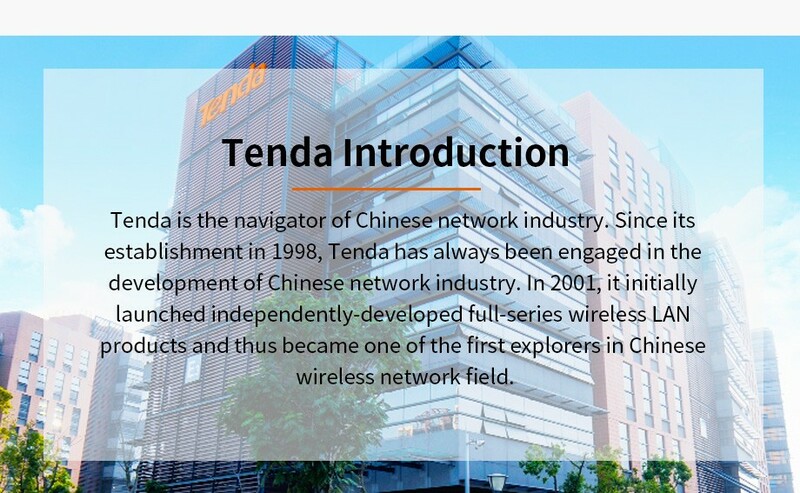 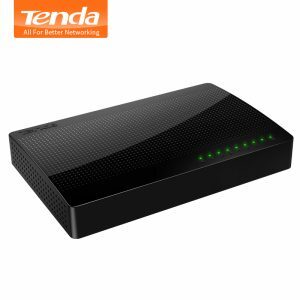 Buy Tenda TEG1008D 8 Port 10/100/1000Mbps Gigabit Ethernet Network Switch, 16Gbps Bandwidth, 4KV lightning Protection, Plug and Play - In Stock Ships Today! 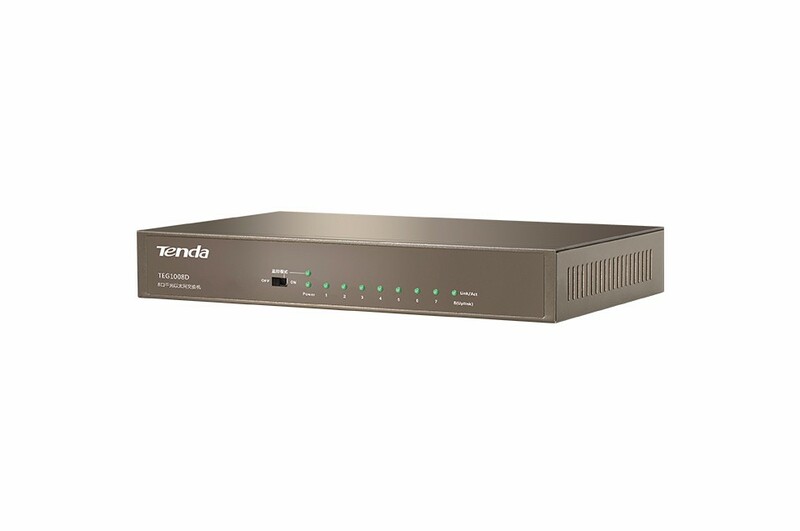 TEG1008D is an unmanaged gigabit switch with 8 10/100/1000 Mbps auto-negotiation RJ45 ports. 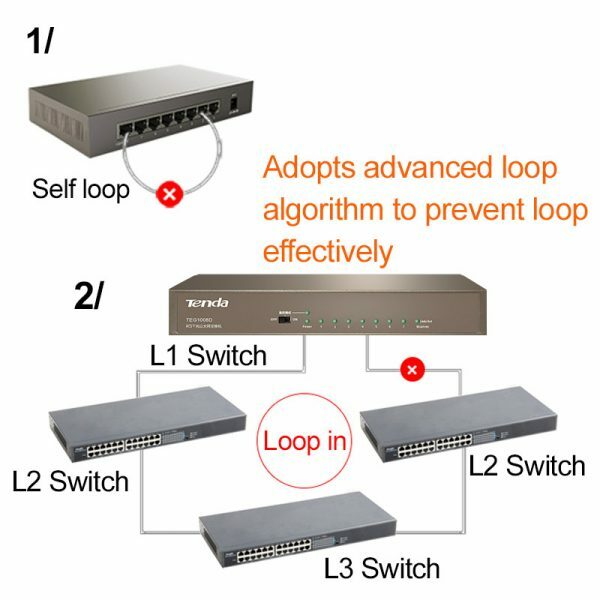 Wire-speed forwarding rate of each port is up to 1000Mbps. 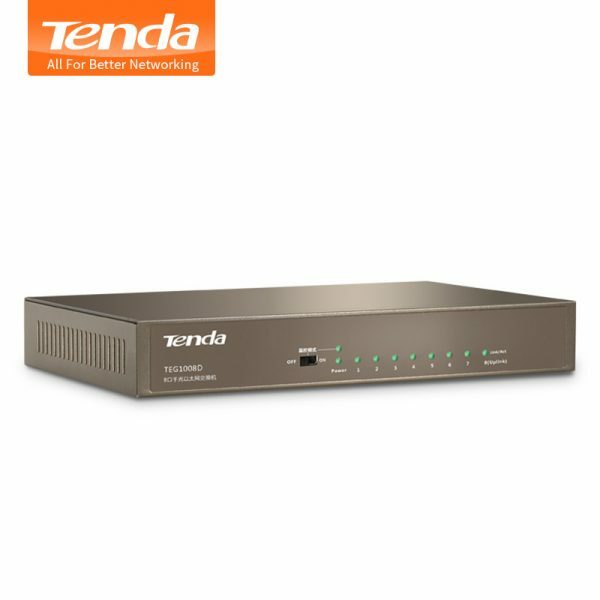 TEG1008D supports 9k Jumbo Frame to increase the forwarding rate of large files in order to boost network Performance. 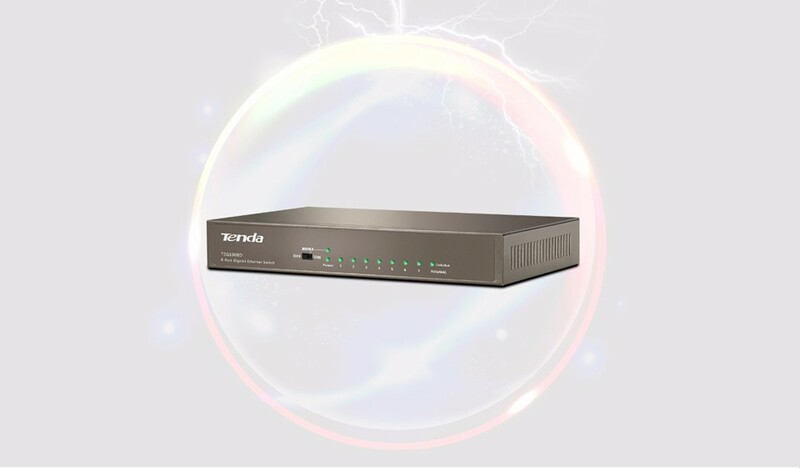 Lightning proof level is up to 4KV to ensure the stability and safety when you surf the internet. 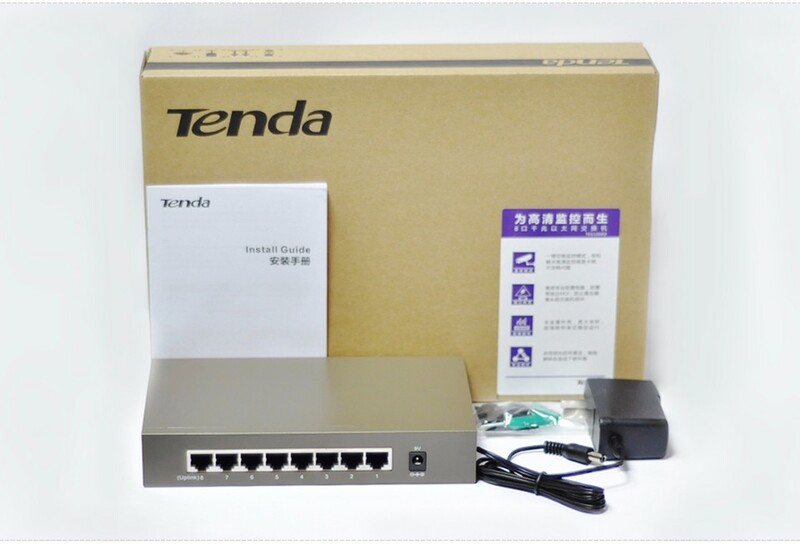 With bulit -in latest broadcom chip, fanless and greenlumi design, TEG1008D is the ideal choice for small & medium enterprises, schools, small offices to Upgrade gigabit network. 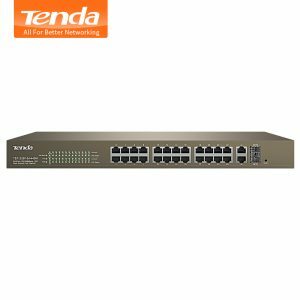 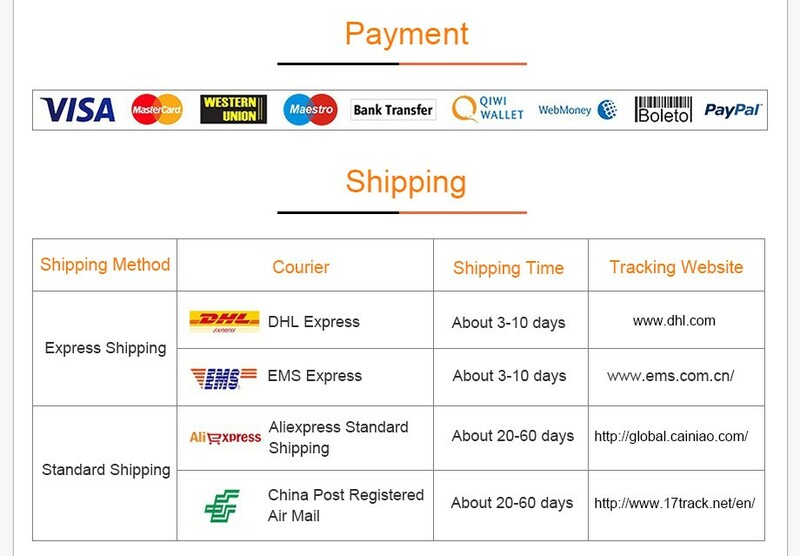 Compliant with IEEE802.3, IEEE802.3u, IEEE802.3ab ethernet standard. 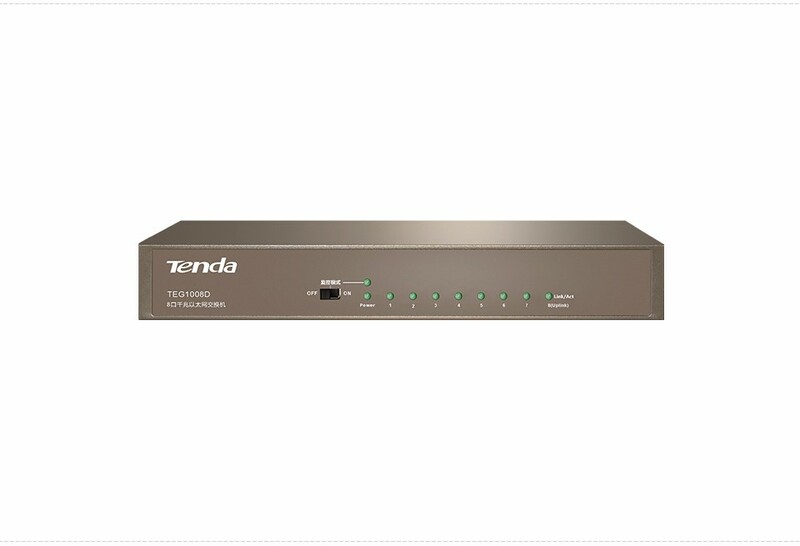 Provides 8 *10/100/1000Mbps auto-negotiation RJ45 Ports. 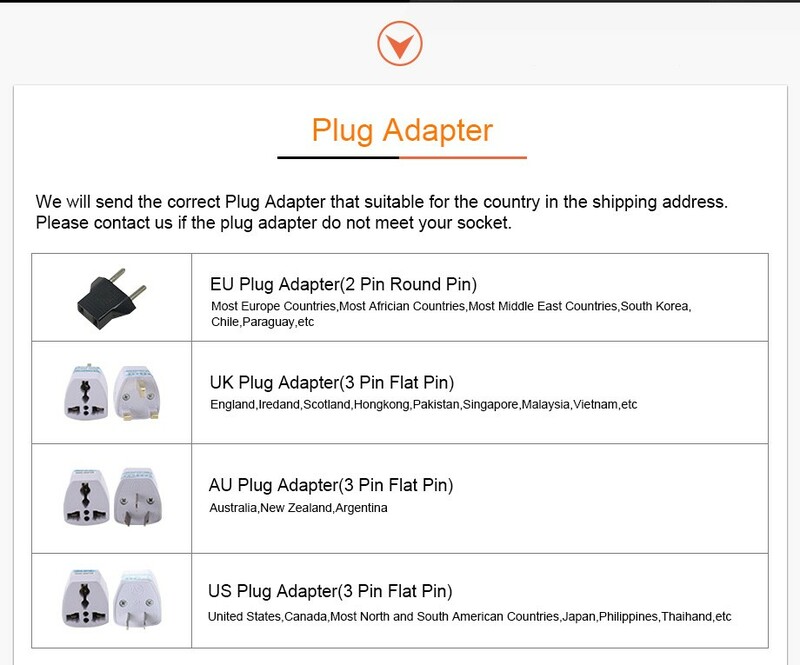 Plug and Play without configuration. 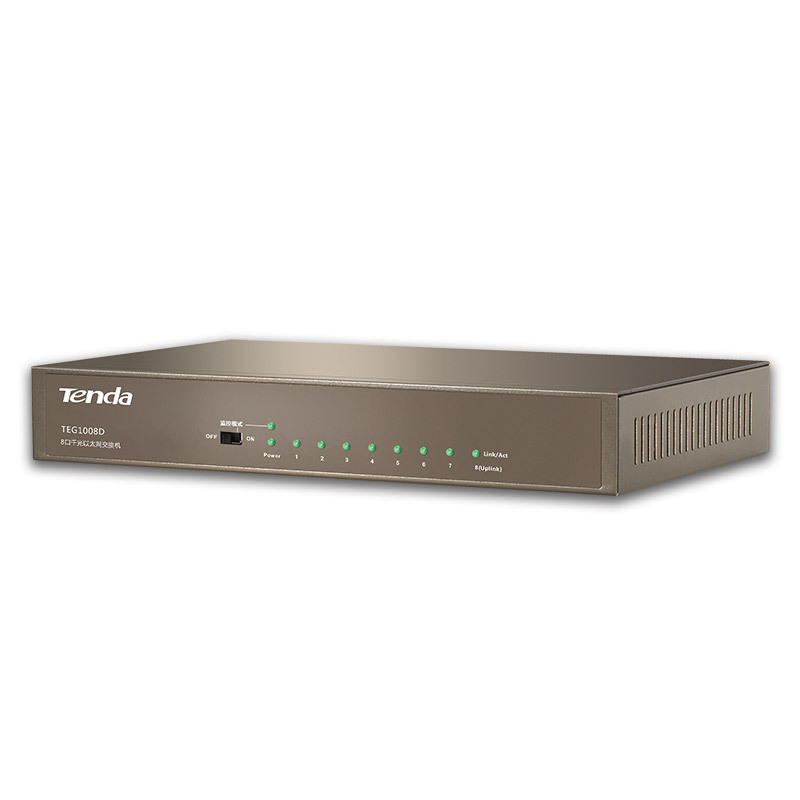 Provides up to 16 Gbps back panel bandwidth and supports non-blocking wire-speed forwarding. Provides LEDs to easily monitor link speed, activity and find problems in time. 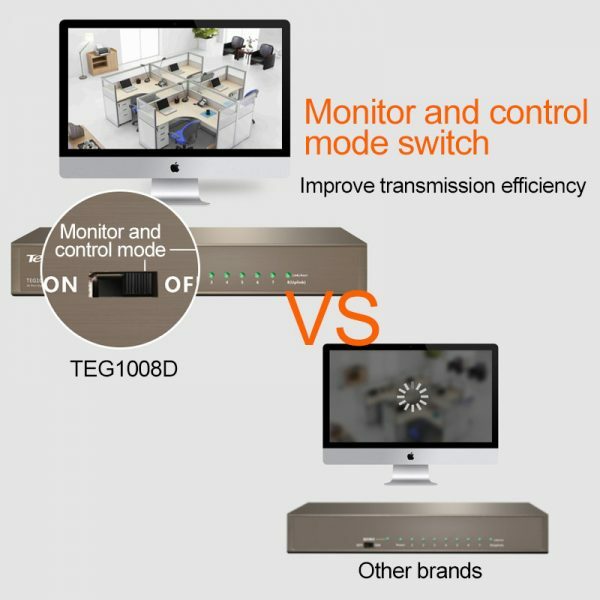 Professional Integrated Lighting Proof Circuit with Inductive Lightning Protection (≥4KV). 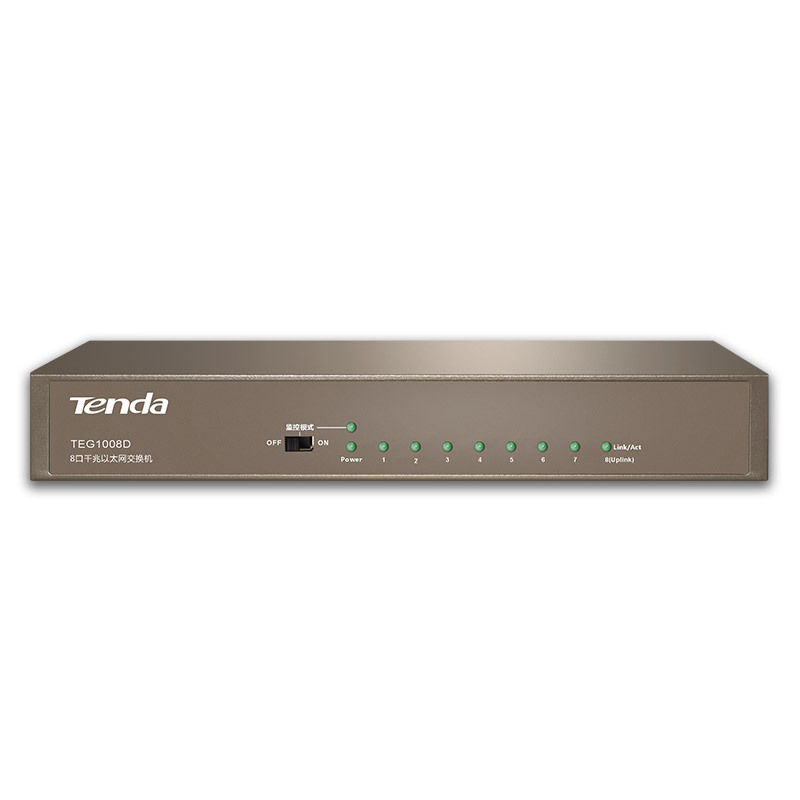 Desktop & Wall-mounting Design, Full-metal & Larger Shell Ensure Effective Cooling.